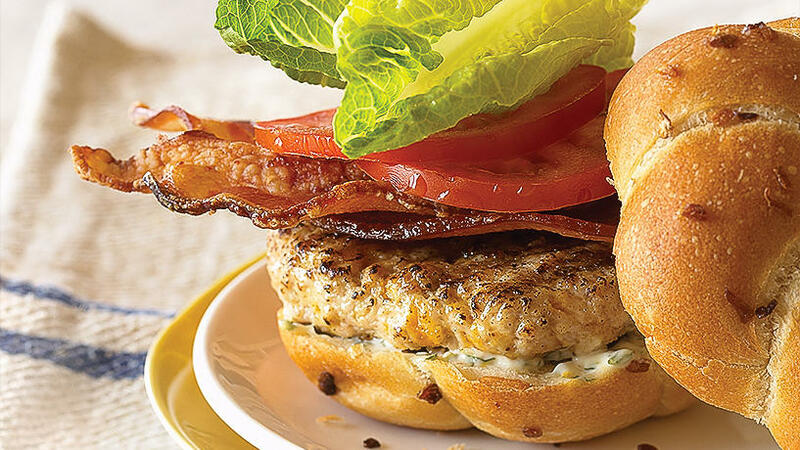 Jazz up a basic chicken burger with sharp cheddar, parmesan, and garlic ― then top with crisp bacon, juicy tomatoes, and lettuce. 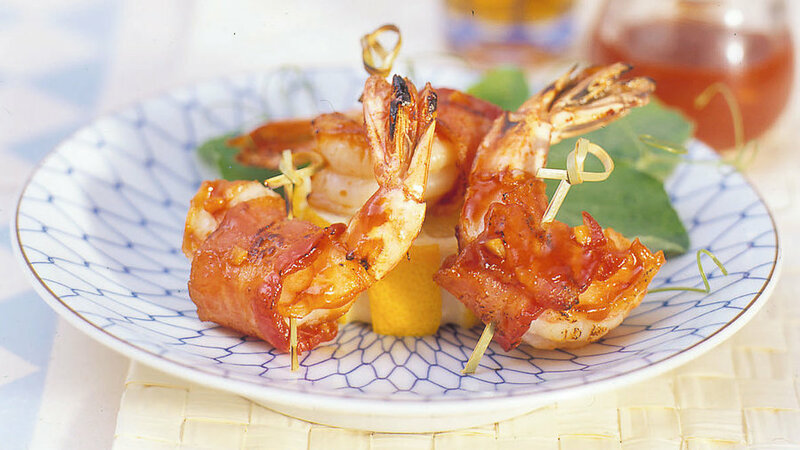 Wrap fresh peeled shrimp in a crisp bacon jacket, finish on the grill, and serve with our delicious dipping sauce. 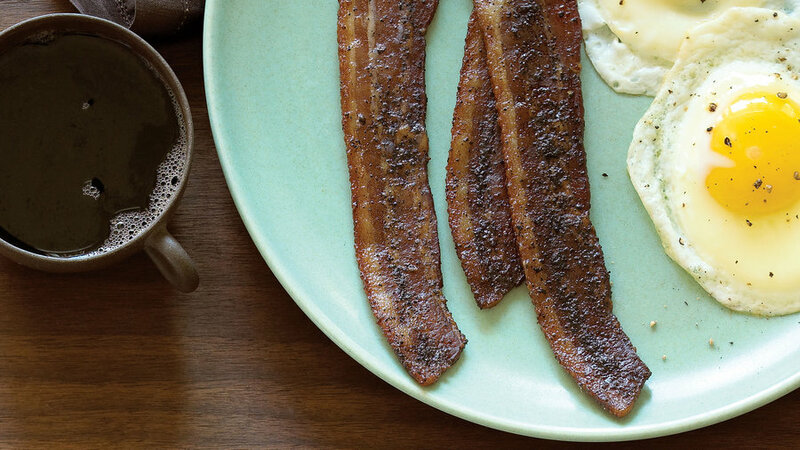 Everyone loves waking up to the smell of coffee and the smell of bacon, and the flavors are pretty awesome together too. 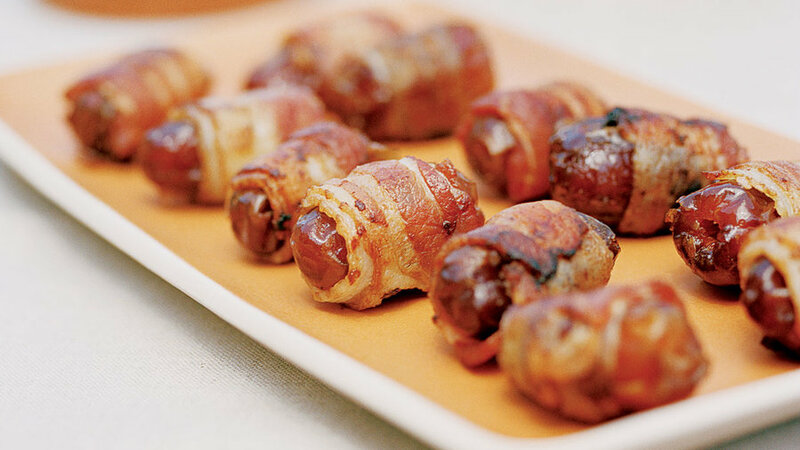 Add some molasses-y brown sugar, and you’ll reach bacon nirvana. 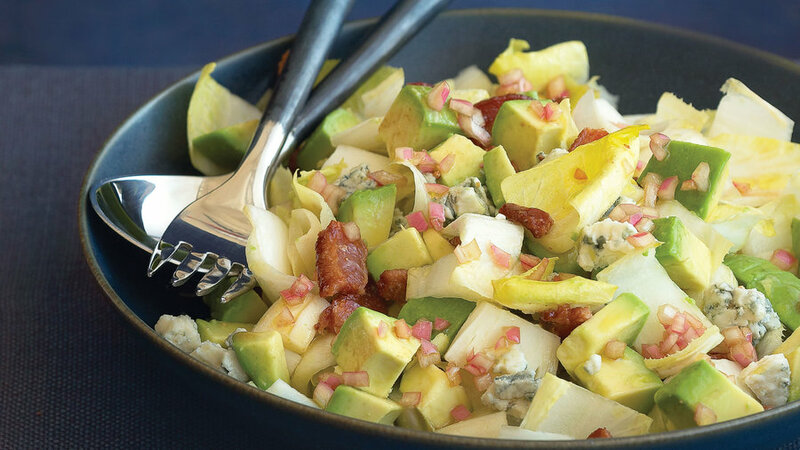 Apple wood-smoked bacon adds especially rich flavor to this salad. 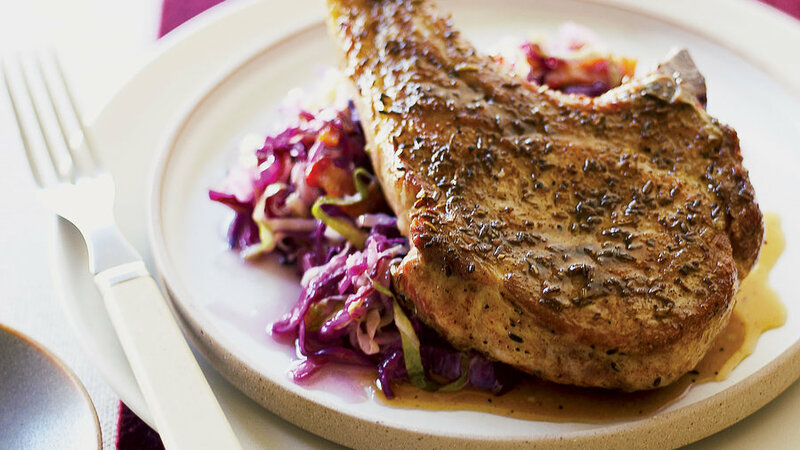 Use leftover cooked chicken or buy roast chicken from a deli. 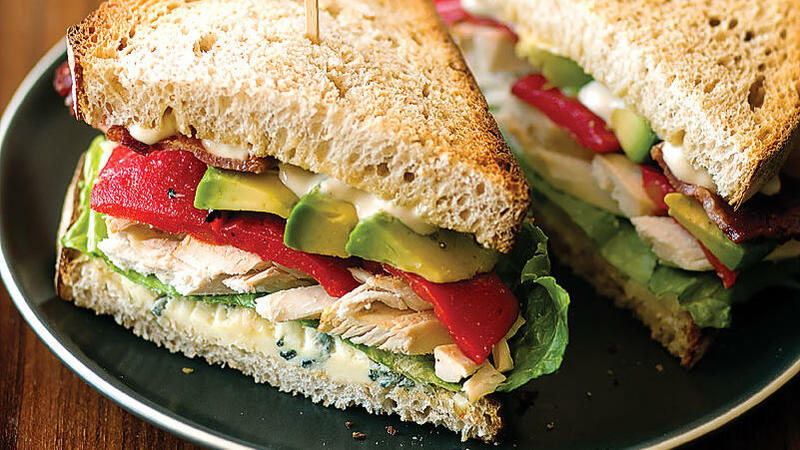 Choose a pungent blue cheese such as Oregon blue, Roquefort, or gorgonzola. 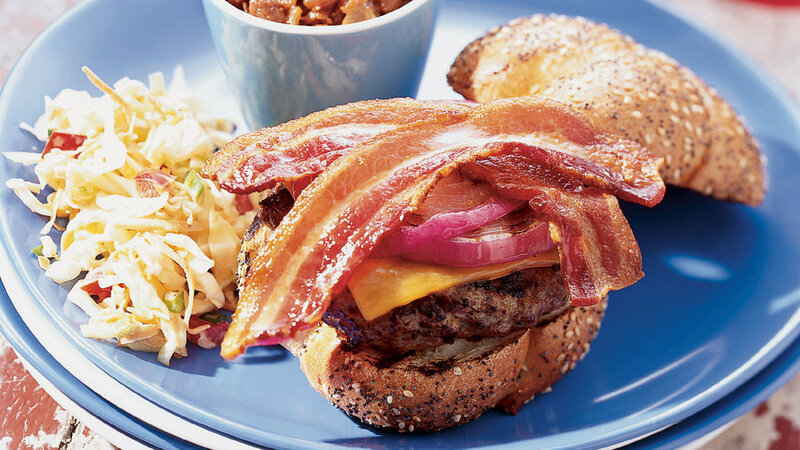 Blue cheese and crispy bacon are a match made in heaven in this satisfying sandwich. 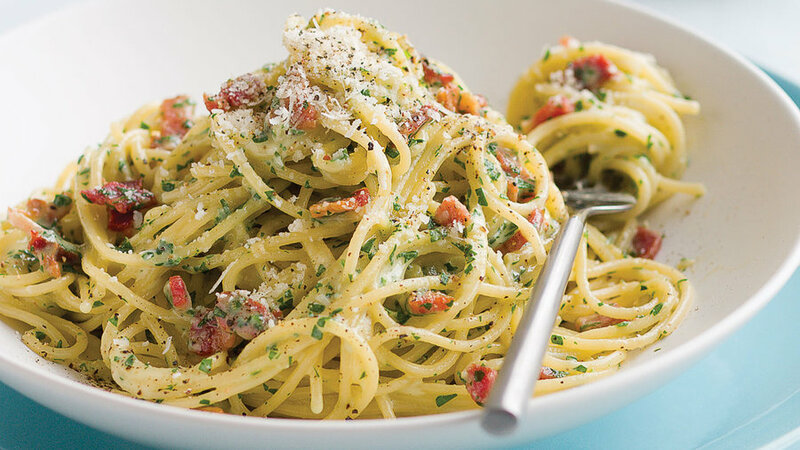 This classic recipe is the perfect marriage of salty and sweet. 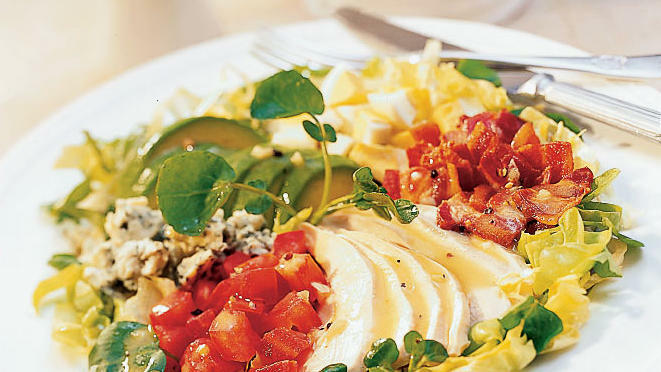 Chock-full of favorite Western ingredients, this salad is simple to prepare and a real crowd-pleaser. Our version of shrimp and grits comes with bacon, adding a smoky meatiness to the entire dish. 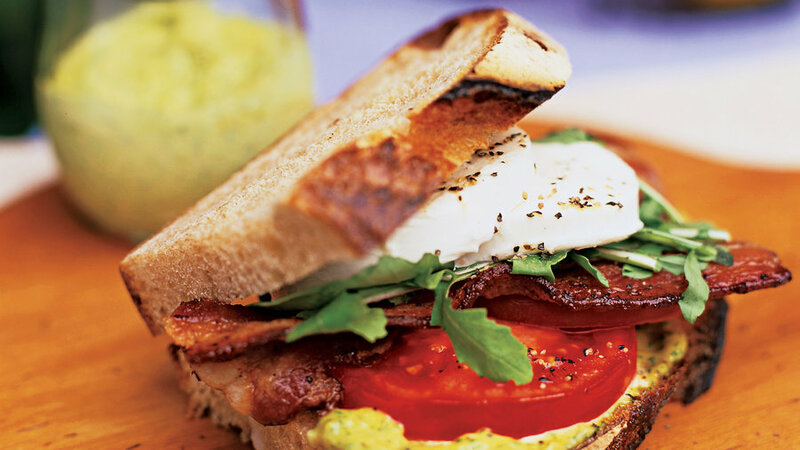 Take a bite of this BLT made with basil mayonnaise and mozzarella cheese, and you’ll never go back to the standard. 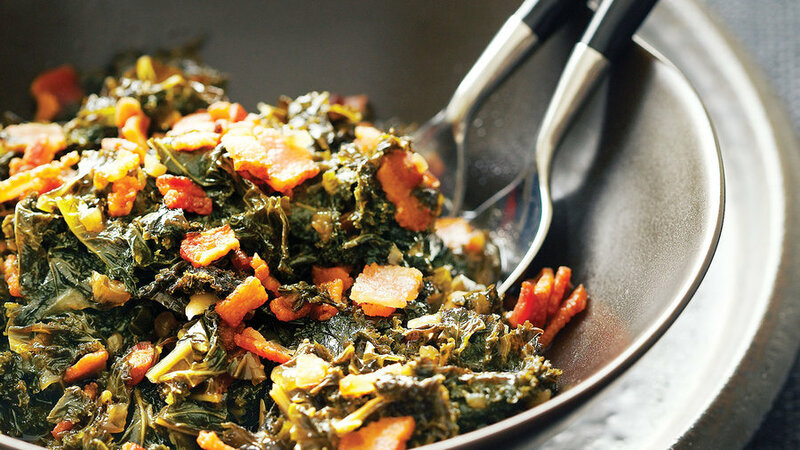 Smoky, salty bacon is a signature flavor of this classic dish. 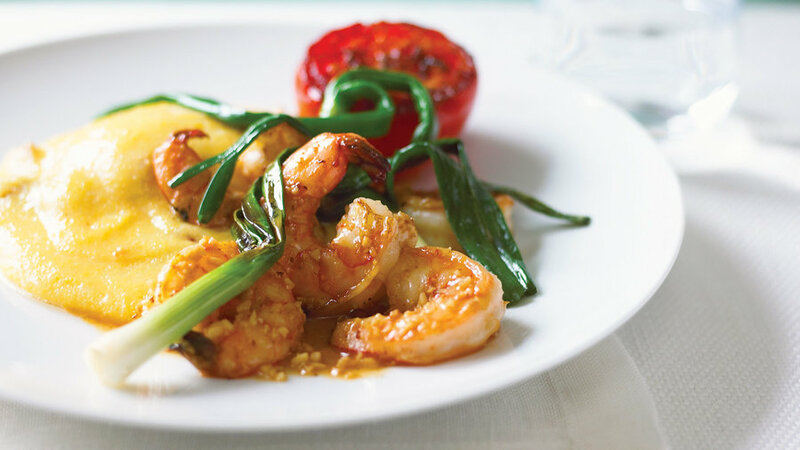 We particularly like this cream-free version (you won’t even notice it’s missing, we swear). Out here, a burger almost feels naked without some nice, crispy bacon along with the other classic accoutrements and our special slaw. 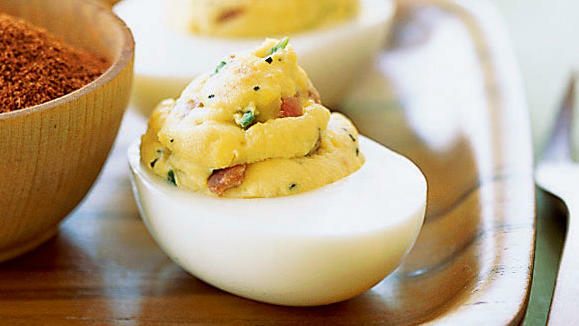 Bacon and eggs, the quintessential breakfast pairing, work wonders in deviled eggs. 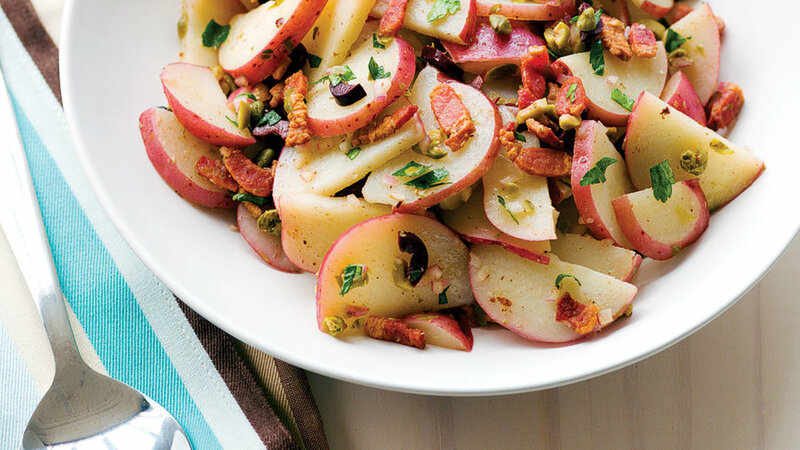 Sweet apples and salty bacon are tossed with frisee and a warm dressing in this simple salad. 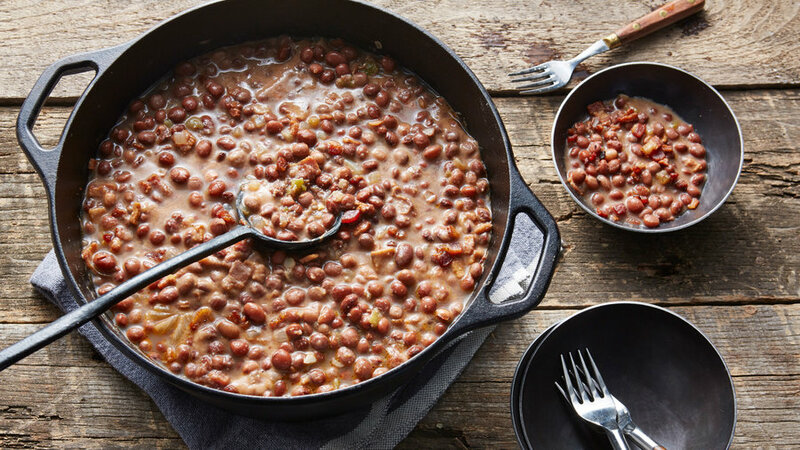 Classic beans wouldn’t be the same without the smoky flavor from good-quality bacon. 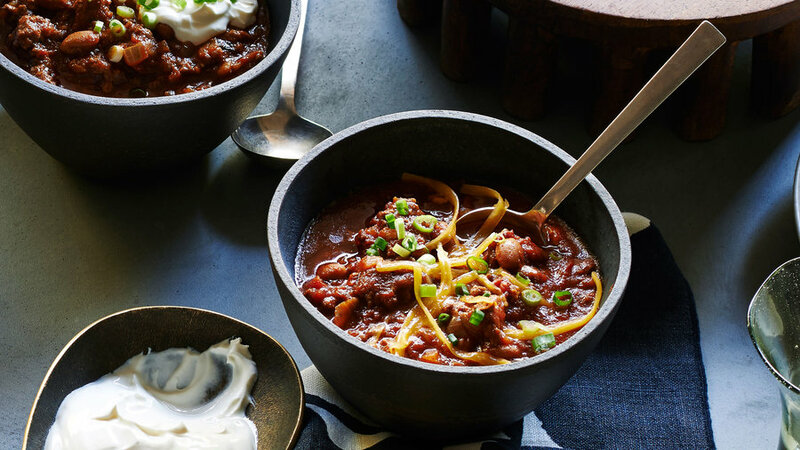 Try this quick and tasty version made with pinquito beans. 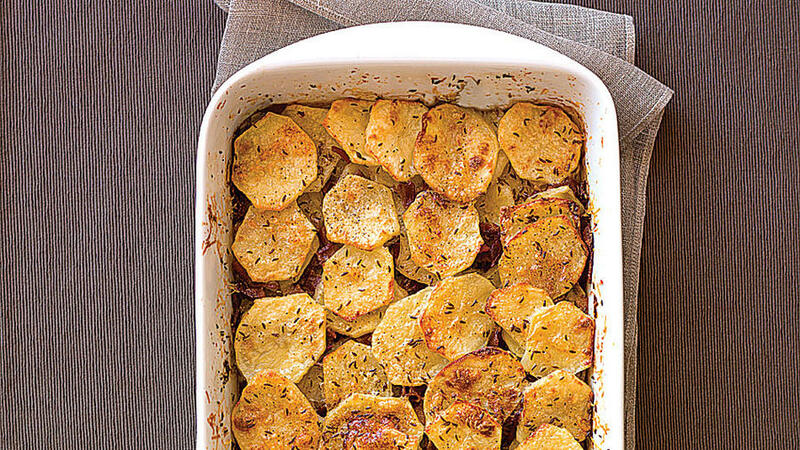 Parmesan cheese, crisp bacon, and nutty, slightly anise-scented caraway perk up plain potatoes. Bacon and briny capers and olives make this potato salad stand out from the bland tubs of supermarket potato salad. 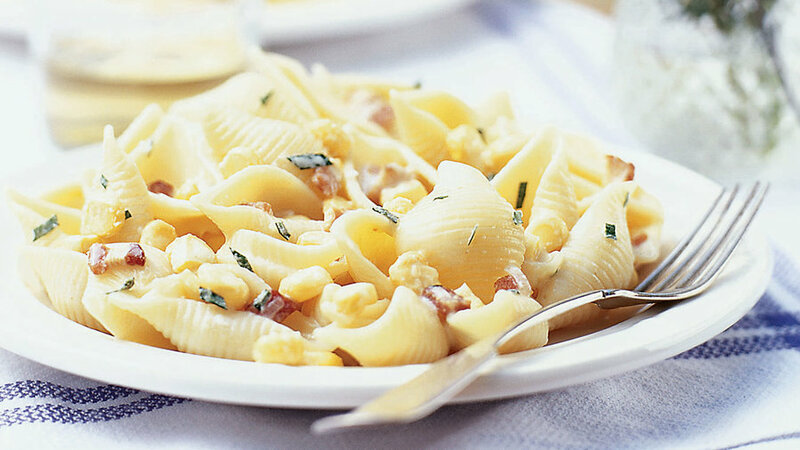 This quick pasta dish is a favorite of ours and we know your family will love the combo of sweet corn and salty bacon tossed with a creamy sauce. 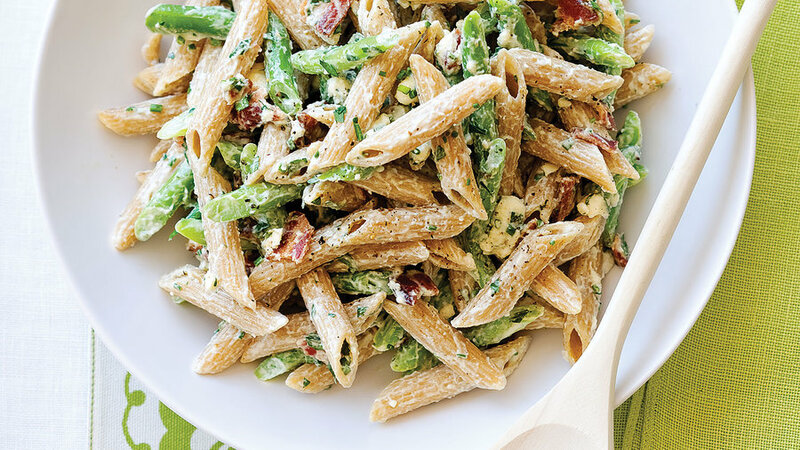 This salad is all about contrasts in flavor and texture: chewy, nutty pasta mingled with crisp, sweet green beans and strewn with bits of crunchy bacon and creamy Roquefort. 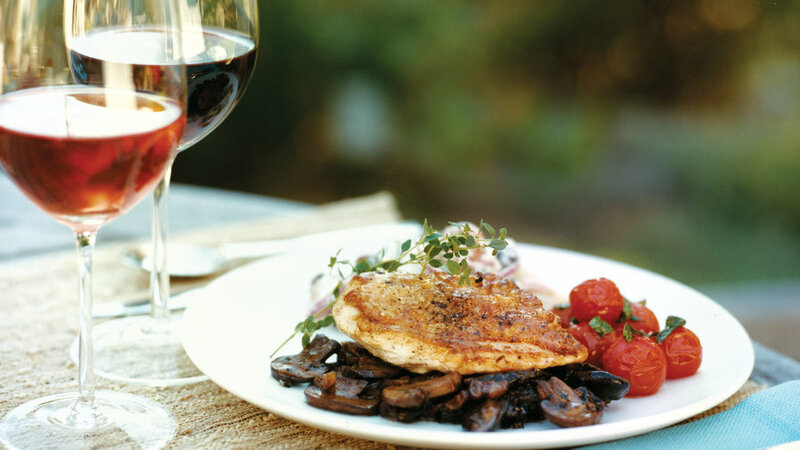 Earthy mushrooms and smoky bacon pair with succulent chicken breasts and fresh thyme. 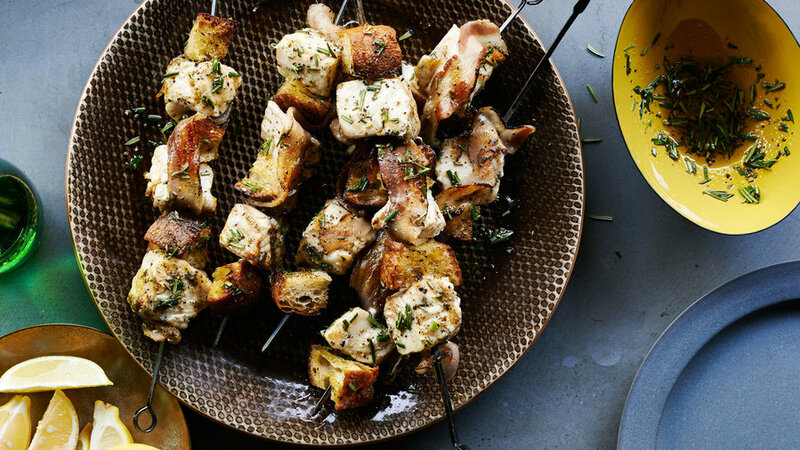 In this Filipino-inspired dish, bacon is substituted for more classic uncured pork belly, giving this dish extra texture and flavor. What's your favorite bacon recipe?